Think about the young women you know or are related to. Consider your network, their daughters, nieces and granddaughters. If she's a high school junior or senior, it's likely she's thinking about college and her future career. Who is she? She's the student athlete, the band student, the academic scholar, and the cheerleader. She may be involved in church, volunteer for various projects, or babysit your best friend's kids. She's our future. You know our story as well as anyone. You know what it's like to apply, to live in our residence halls, and make friends that last a lifetime. You've worked with our faculty, excelled in classes, and crossed our graduation stage. You've moved successfully into your career. You're the reason we have such a great story. 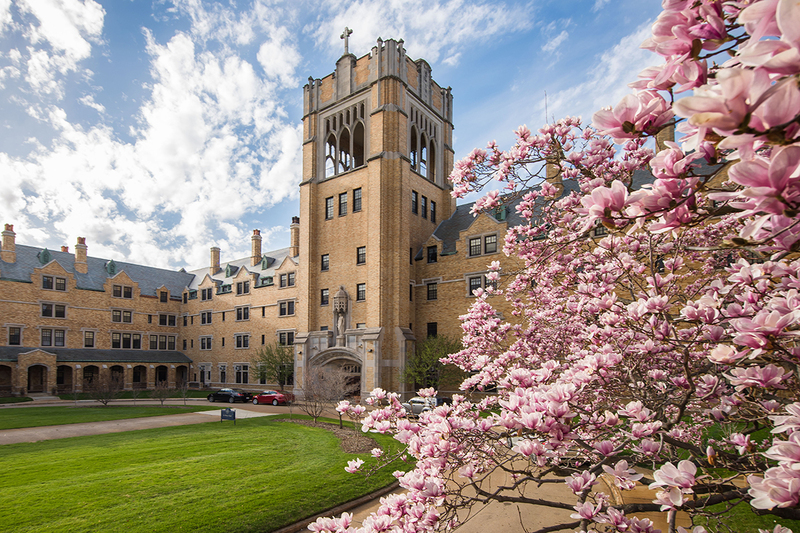 As an alumna or current student, you have the opportunity to endorse the application of a high school senior who is interested in Saint Mary's. By completing the form below, you’re telling the admission committee that you support this young woman's candidacy. Tell us what is so special about her, why she’d be a good fit, and why you’re endorsing her by completing the form below. If she's not already on our mailing list, we'll add her and let her know about your endorsement. 2 Data was collected from an internal survey, sampling students from the classes of 2003 through 2011, five years after graduation from Saint Mary's College. Thank you for your assistance recruiting the Saint Mary's women of the future!